Researchers have discovered minerals from 43 meteorites that landed on Earth 470 million years ago. More than half of the mineral grains are from meteorites completely unknown or very rare in today’s meteorite flow. These findings mean that we will probably need to revise our current understanding of the history and development of the solar system. The discovery confirms the hypothesis presented this summer when geology professor Birger Schmitz at Lund University in Sweden revealed that he had found what he referred to as an “extinct meteorite” – a meteorite dinosaur. The meteorite was given the name Österplana 065 and was discovered in a quarry outside Lidköping in Sweden. The term ‘extinct’ was used because of its unusual composition, different from all known groups of meteorites, and because it originated from a celestial body that was destroyed in ancient times. “The new results confirm the hypothesis. Based on 43 micrometeorites, which are as old as Österplana 065, our new study shows that back then the flow was actually dramatically different. 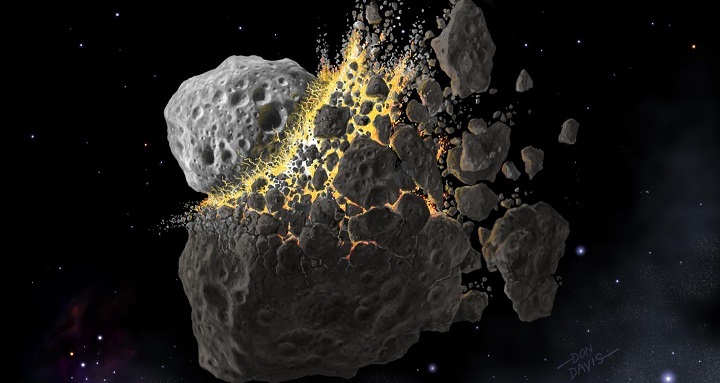 So far we have always assumed that the solar system is stable, and have therefore expected that the same type of meteorites have fallen on Earth throughout the history of the solar system, but we have now realized that this is not the case”, says Birger Schmitz. He also emphasizes that the new study shows that it is possible to make highly detailed reconstructions of the changes that have occurred in the solar system. “We can now recreate late history of not only the Earth but of the entire solar system. The scientific value of this new report is greater than the one last summer”, says Birger Schmitz. Thanks for providing few great information. You guys really providing some high thought information. We made a website as well for upcoming biggest cricket tournament ICC Champions Trophy 2017. To watch ICC CT 2017 Live streaming visit us. A brand-new attribute of the itunes download application is called wizard offers iTunes Sign In After that set up iTunes on your Windows PC.